After the Super Bowl i blogged how ridiculous the Groupon ads were, actually how stupid. Many people felt like this and a s a result Groupon is pulling these ads from TV. WASHINGTON (AFP) – Internet bargain coupon phenomenon Groupon is pulling a series of Super Bowl advertisements that critics said made light of the plight of Tibet, whales and the Amazon rainforest. Groupon chief executive Andrew Mason announced the decision to no longer run the controversial television commercials in a blog post late Thursday. "Five days have passed since the Super Bowl, and one thing is clear -- our ads offended a lot of people," Mason said. "We hate that we offended people, and we're very sorry that we did -- it's the last thing we wanted. "We've listened to your feedback, and since we don't see the point in continuing to anger people, we're pulling the ads," he said. The Tibet ad shown during the Super Bowl, the most-watched event of the year on US television, opens with mountain scenes set to a melancholy flute and the words, "The people of Tibet are in trouble. Their culture is in jeopardy." 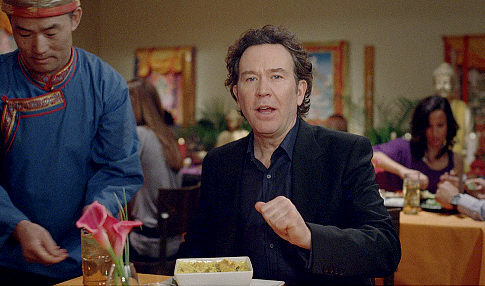 Actor Timothy Hutton then quips, "But they still whip up an amazing fish curry," and explains how he used Groupon for a discount at a Tibetan restaurant in Chicago. Groupon used a similar approach in two other ads which ran before and after the game. In one, actor Cuba Gooding Jr. somberly describes the need to save whales from extinction but then says it's "more fun" to go on a whale watching cruise using the deal he got with Groupon. In the other, actress Elizabeth Hurley talks about the threat to the Amazon rainforest. She then goes on to rave about the "Brazilian wax" deal she got at Groupon, saying "not all deforestation is bad." Mason said the company will run "less polarizing" ads in the future. "We thought we were poking fun at ourselves, but clearly the execution was off and the joke didn't come through," he said. "I personally take responsibility; although we worked with a professional ad agency, in the end, it was my decision to run the ads," Mason said. "While we've always been a little quirky, we certainly aren't trying to be the kind of company that builds its brand on creating controversy," he said. Mason also said Groupon is matching donations to charities including Greenpeace and the Tibet Fund and the campaign is expected to net $500,000. Founded in 2008, Chicago-based Groupon offers discounts to its members on retail goods and services, offering one localized deal a day.